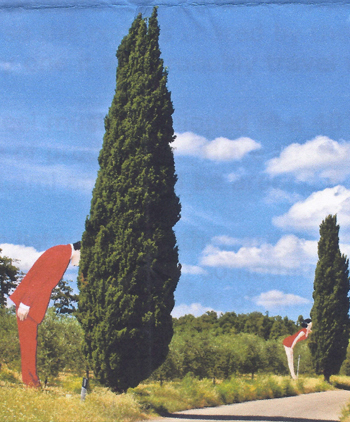 Originally a computer-generated, graphic design, the Metropolitan Ostriches first took physical shape when an Italian government official decided they would be interesting placed among the cypress trees in Chianti Sculpture Park. The graphic design was created in aluminum and then painted. They can now be seen in Pievasciata, Province of Siena, Tuscany, Italy – and now here in Punta Gorda, Florida.